There are only a handful of ingredients in this awesome dish and they work together so beautifully. These flavors simply can’t be beat! 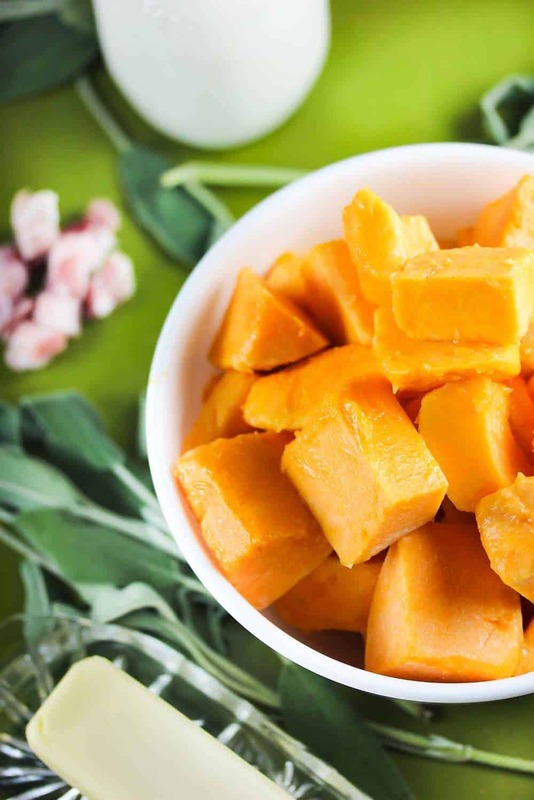 Steaming the butternut squash in the Instant Pot could not be any easier and the results are spectacular. They only take 8 minutes, once they start pressure cooking, and they come out perfectly cooked and so easy to mash. 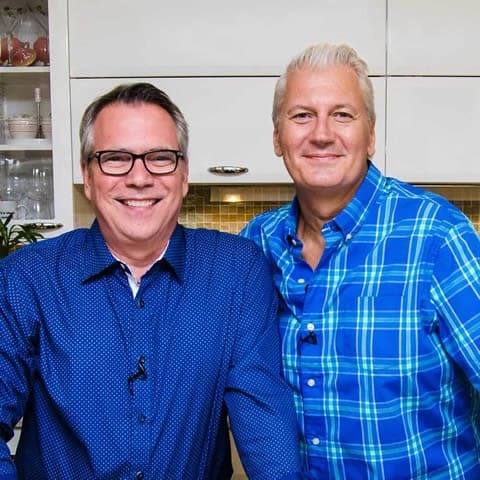 I can’t rave enough about the steamer basket I use to steam veggies and fish in my Instant Pot. This basket is amazing and so versatile, it will fit into an 8-inch wide pot, or greater. The three little feet on the bottom allow the water to steam the veggies without soaking them in the liquid. And the sturdy handle makes removing the basket a breeze. I LOVE this steamer! 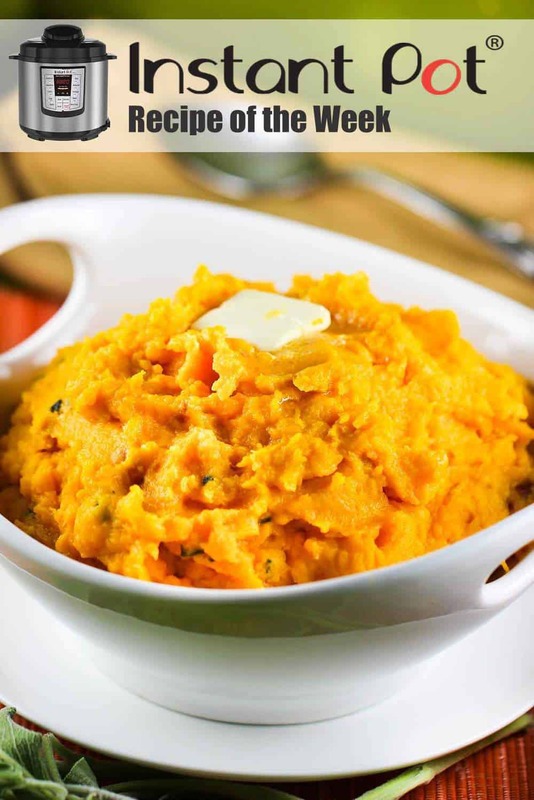 We love sweet potato casserole, and believe us, we have a doozy of a recipe for Candied Yams, but a less sweet, and more savory version is this Mashed Butternut Squash with Pancetta and Sage recipe. It really has amazing taste and texture. 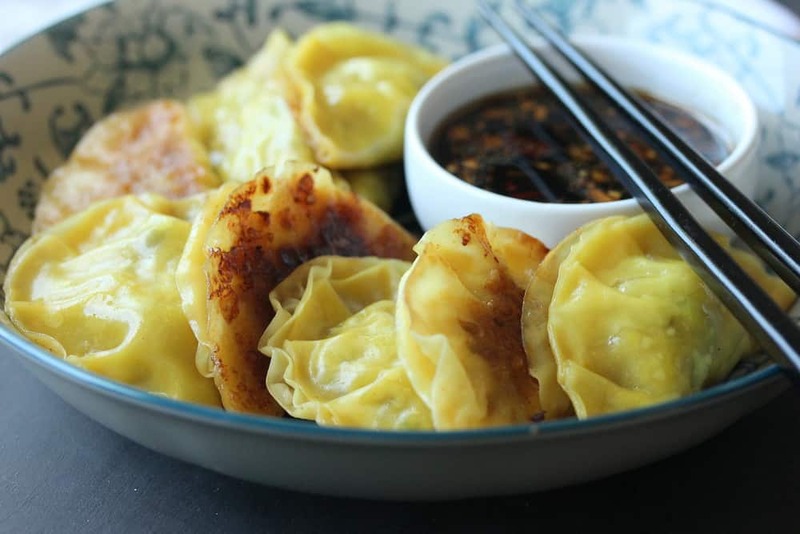 And of course, because this delicious recipe is done in the Instant Pot, so it only takes about half hour from start to finish. This is now officially become a permanent dish on our Thanksgiving table. It is the perfect side. You could easily omit the pancetta for a wonderful vegetarian dish, and it would still be super duper delicious. 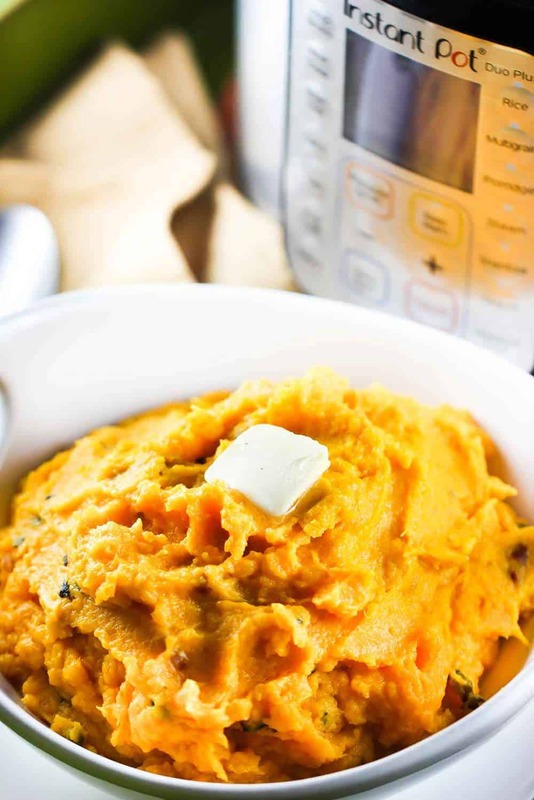 Now, go ahead and make this incredible Instant Pot Mashed Butternut Squash with Pancetta and Sage recipe! Pour 1 cup water into the Instant Pot. 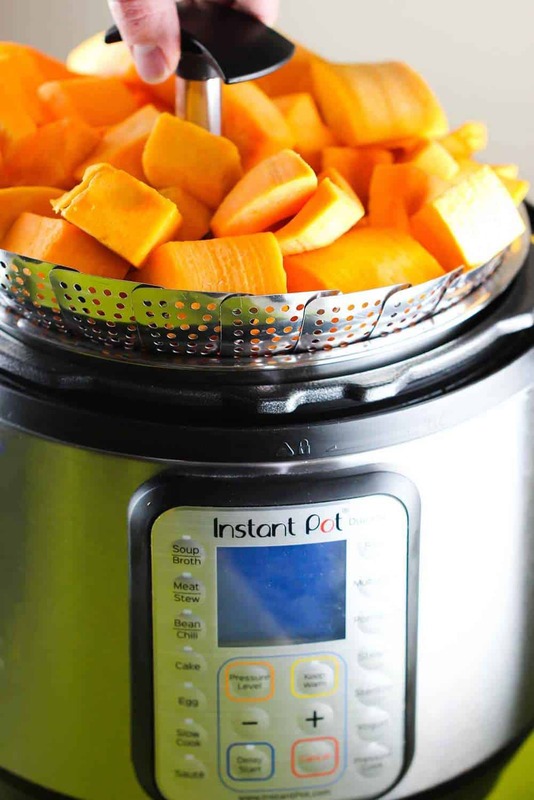 Place the butternut squash onto steamer basket and lower into the Instant Pot. Place the lid on the IP and lock into place. Move venting valve to Sealing position. Select Steam on High for 8 minutes. Once finished, hit Cancel, and then vent using Quick Release (Position the IP so the steam does not come in contact with you). Once finished, remove the lid and carefully take the squash out and set aside. Select Saute on More and add the oil. Once hot, add the pancetta and cook until fat has begun to render and is beginning to get crisp, about 3 minutes. Add the sage and cook for 1 minute. Hit Cancel to stop the cooking. Return the cooked squash to the pot and add the salt, butter and cream. Mash and taste, adding more salt if necessary.